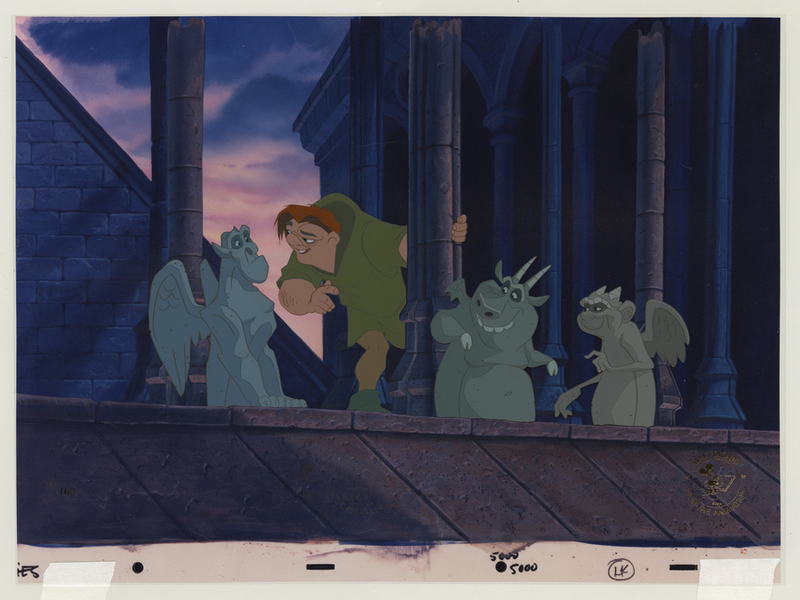 This is an original, employee exclusive, limited edition cel from the Walt Disney Studios production of The Hunchback of Notre Dame (1996). 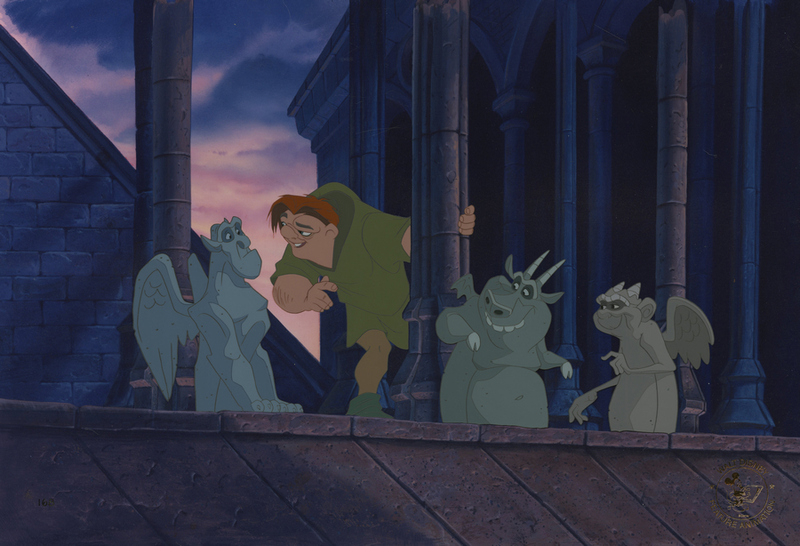 This hand-painted limited edition features Quasimodo with the gargoyles, Victor, Hugo, and Laverne, who have encouraged Quasi to sneak out of the bell tower and attend the Festival of Fools. The limited edition was created at the studio and offered as a perk to the cast and crew who worked on the film. Employee limited editions are only created in an edition size that will fufill the orders placed by the crew, and they are never offered directly to the public, so they are much harder to find than the limited editions sold to the public by the studio. The overall measurements of the piece are 12.5" x 17", the frameable full color image including the printed reproduction background measures 11" x 16", and the painted character image measures 5" x 12". The piece is in excellent condition and includes its original studio COA.